We are counting down the moments for Avengers Endgame which includes making new DIY Avengers shirts! This Avengers Endgame SVG Bundle is perfect for diy shirts, mugs, glassware and more. 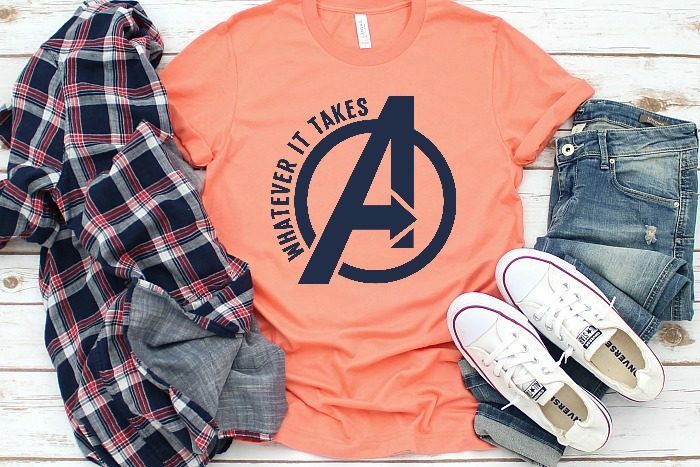 I will definitely be making a “whatever it takes” Avengers shirt for the premier! Let’s be honest, our hearts broke a little bit … okay a lot … during Avengers Infinity War. If you didn’t at least tear up with “Mr. Stark, I don’t feel so good,” you might need to check your heart is still beating! Okay, okay. That might be an exaggeration, but I’m sticking with it anyway. I know that I am not alone though when I say we have been anxiously waiting to see how our beloved Marvel superheroes are going to fix the Snap, beat Thanos, and, hopefully, get our fallen heroes back! Of course, I’m also a little anxious we might lose some of our other heroes. Endgame marks the end of phase three and the Infinity Saga, which consists of the first 22 Marvel movies. It also marks the end of a lot of current contracts, especially Chris Evans and Robert Downing Jr. We all need to be prepared for the possibility of saying goodbye to characters we have come to dearly love. Back to the point, though. We are very excited for April 26th with tickets and babysitters thankfully already lined up, but the next step is making new DIY Avengers shirts for the premier with this Avengers SVG Bundle! The bundle includes a few general Avengers designs perfect for all 22 movies as well as a few Endgame designs I’m excited for. My favorite designs of the Avenger Endgame cut files are the whatever it takes designs! The line repeated over and over again in the trailer definitely game me goosebumps so that is what I will be wearing for the movie. Bryan’s favorite is the #wegotthis! GET YOUR AVENGERS SVG BUNDLE NOW!!!! 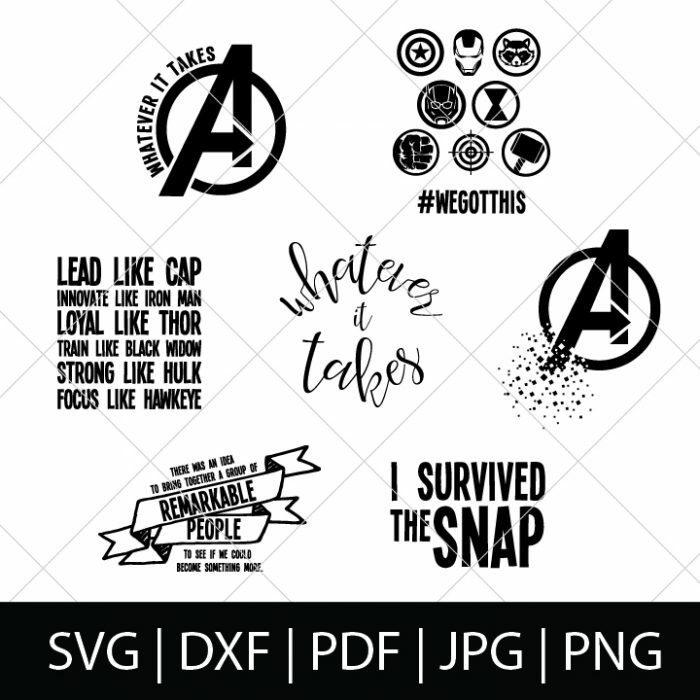 For this Avengers bundle, you will get all the SVG files that can be used with any electronic cutting machine, like the Silhouette Cameo and Cricut Explore as well as PDF and JPEG for making cute print files. We are not just offering this Avengers design bundle. 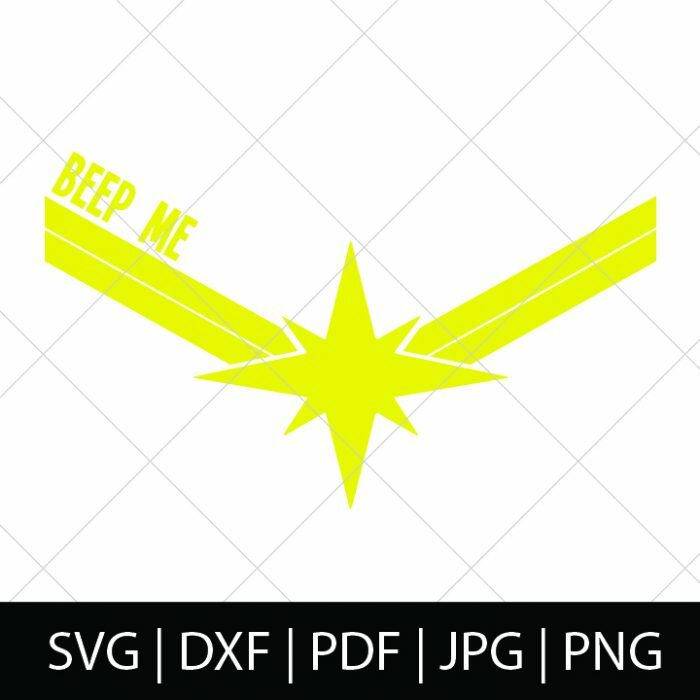 We were a little busy having baby number two to get a post out, but we were definitely excited about Captain Marvel as well and decided to share a Captain Marvel SVG file for you all as well! DIY Avengers Shirt – The original Avengers team in silhouette form! Captain America Cookies – Perfect for superhero parties, watching Avengers and, of course, 4th of July!